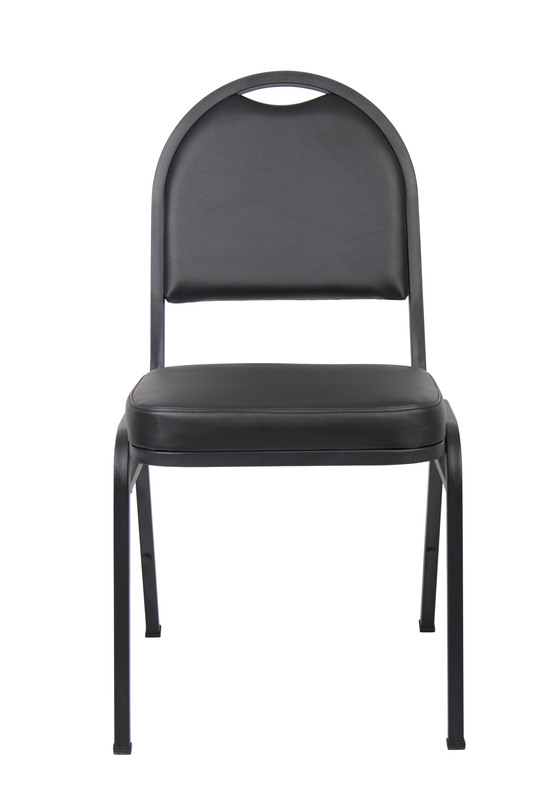 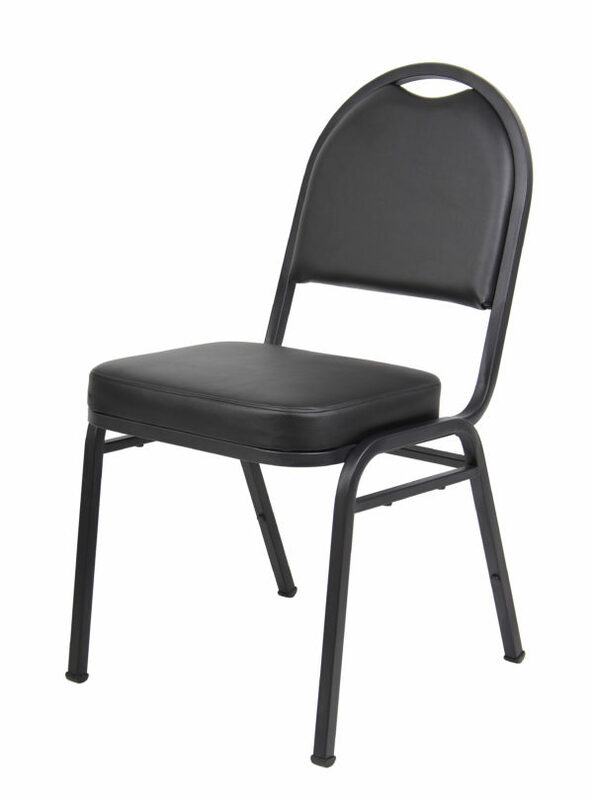 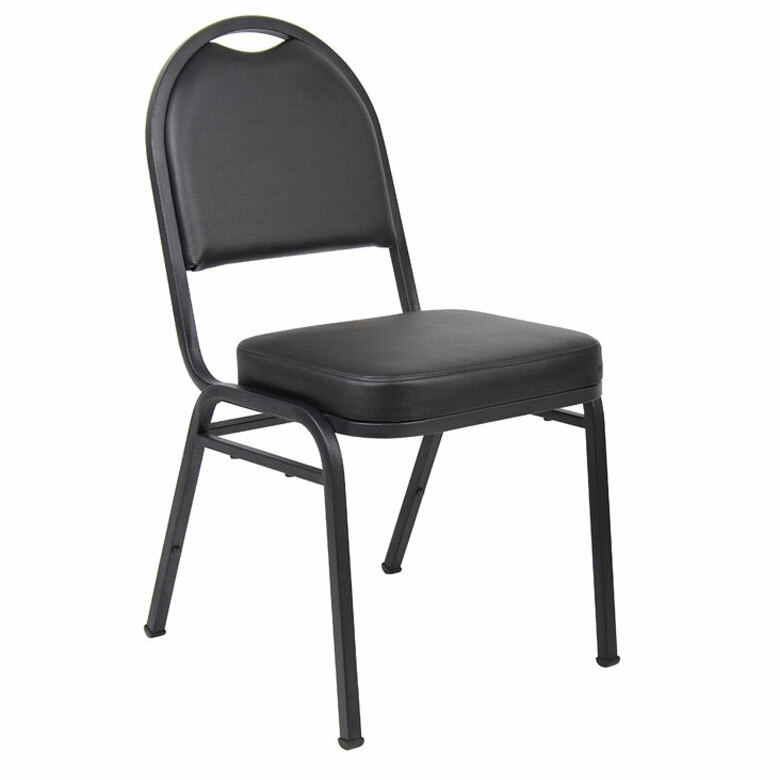 The Boss Black Caressoft vinyl Banquet Chair is a simple yet smartly designed chair, suited for all kinds of events and bookings. 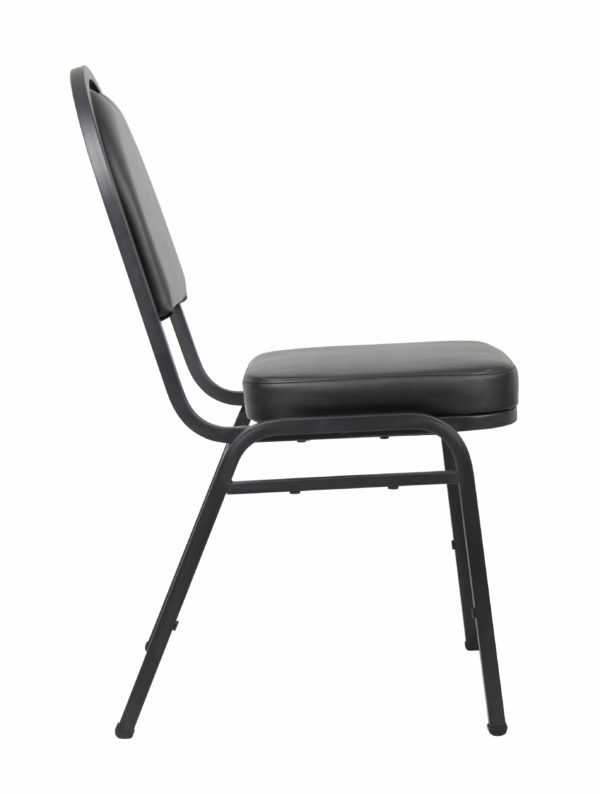 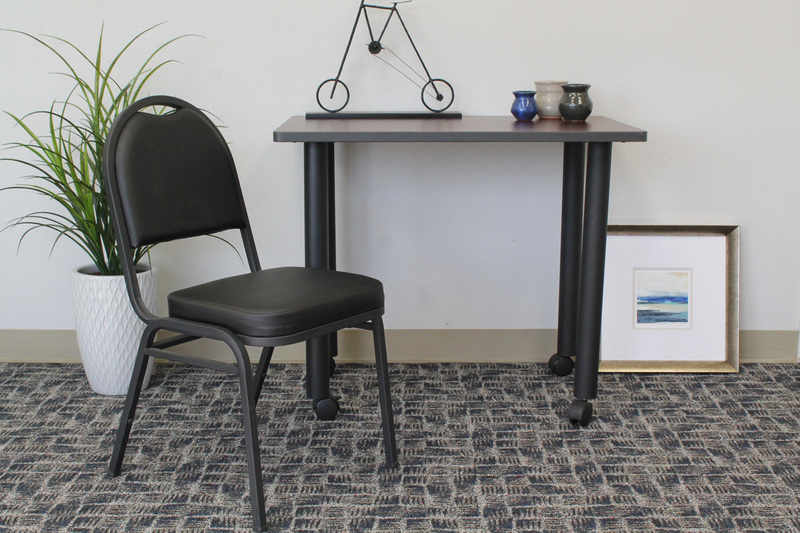 These are upholstered in a chic black crepe fabric and their steel frames are black powder coated. 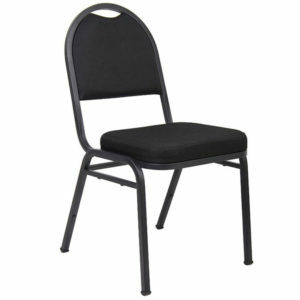 Their seating cushion has a 2-inch high density foam which provides excellent comfort. There are welded reinforcement bars under the seat for additional support. 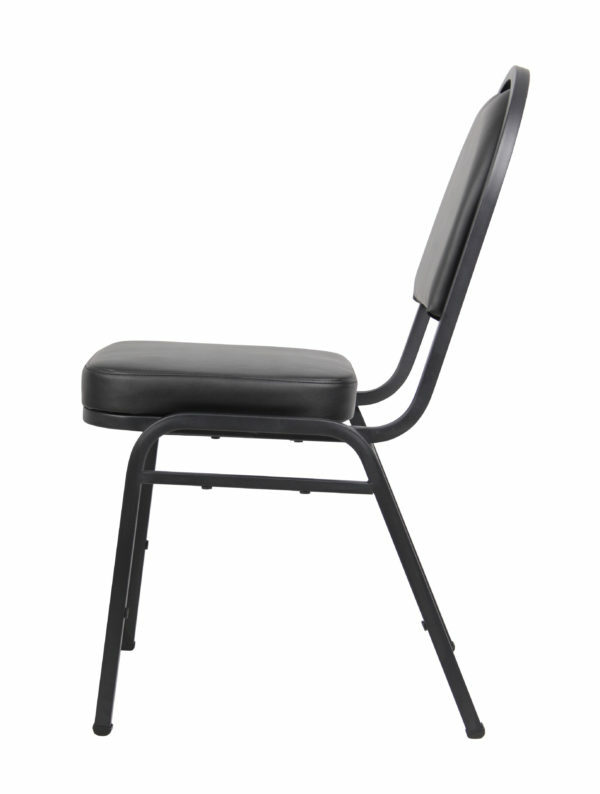 These chairs ship fully assembled so all you have to do is take them out of the box and use. 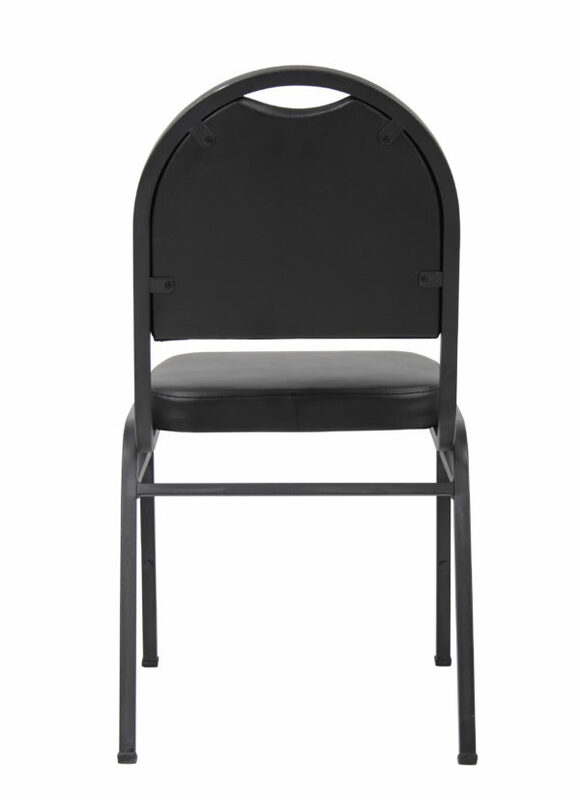 They can even be stacked up to 16 to save storage space.